Working nationally from our head office in Northamptonshire with over 45 years industry experience, we pride ourselves on providing a first class service earning the reputation for being one of the UK's 'Premier' Commercial & Industrial roofing refurbishment specialists. Our well established client portfolio has been built on a dedication to quality workmanship, competitive quotations, quality materials and excellent service, all of which are at the heart of our business. A result of this being over 80% of our business is repeat or recommended. We are registered installers of all leading roofing systems and can provide workmanship and material guarantees up to 35 years. With over 45 years industry experience, we pride ourselves on providing a first class roofing service. We are registered installers of all systems offered (see manufacturer page for more information) and these are backed by the manufacturers warranties covering workmanship & materials, valid for up to 35 years. With our unparalleled knowledge of roofing, our skilled project managers work tirelessly to ensure projects are delivered within budget and on time. We offer the highest levels of service for all your roofing requirements, and pride ourselves on our professional approach. Get in touch today to discuss how we can help. Experts in the field of flat roofing. We are highly experienced in installing all systems including felt and liquid. We are certified installers of all of the major single ply membrane manufacturers. 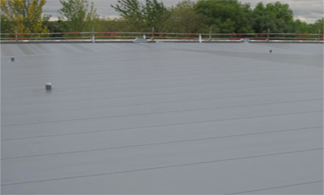 Liquid coatings are the latest development in waterproofing technology for flat roofs. 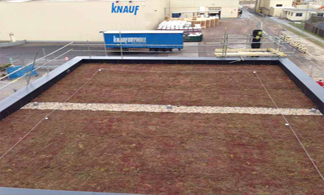 Living roofs use a layer of plants or grass to protect and insulate your property. 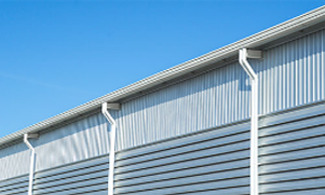 We provide an extensive range of roofing and wall cladding solutions. 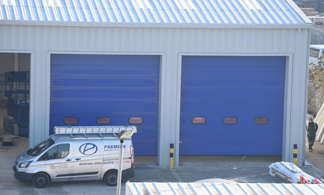 Our services include the cleaning, lining, maintenance and replacement of all guttering types. 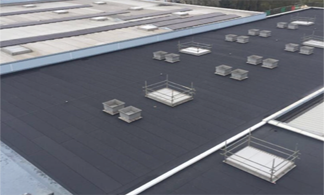 Comprehensive and flexible roof and gutter maintenance programmes that include annual site inspections and repairs. 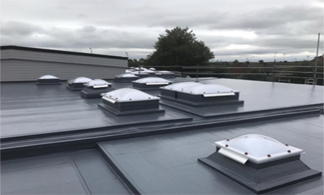 Premier Roofing Systems Ltd has carried out many flat roofing projects with Esha materials and I have found them to be, professional, efficient, thorough with health and safety, well organised giving excellent service and providing good quality workmanship with great attention to detail. They are customer focused and keen to build a long term mutually beneficial relationships with clients.